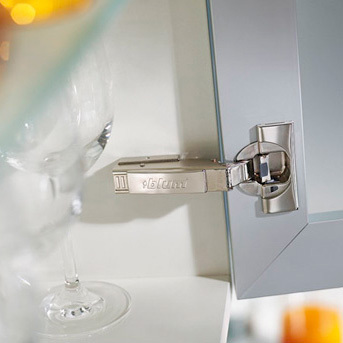 We offer Blum softclose hinges and full extension slides with your cabinetry. Our TANDEM plus BLUMOTION runners are the latest advancement in concealed runner technology. They offer four-dimensional adjustment, excellent stability and minimal sag; all while maintaining smooth running action and unmatched soft close. TANDEM plus BLUMOTION concealed runners are also made in the USA at our North Carolina facility. This is just another example of Blum’s commitment to manufacturing products in the U.S., for the U.S. market.